Currently there is no single, universally accepted International Organization for Standardization (ISO) or American Society for Testing and Materials (ASTM) test method for qualifying coatings for corrosion under insulation (CUI). 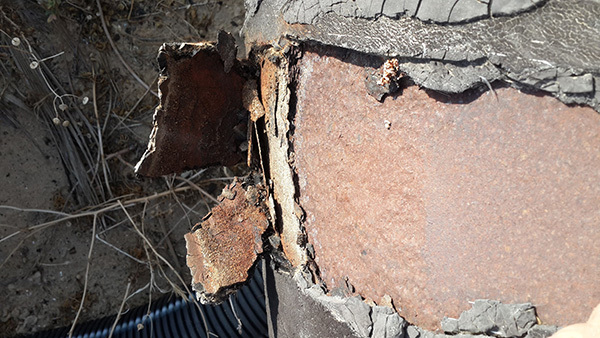 In an effort to resolve this problem, CORROSION 2019 hosted a forum that explored one accelerated testing regimen for qualifying a costing system. The forum, entitled “Corrosion Under Insulation Management: Accelerated Testing and Practical Solutions,” was held on Monday, March 25 from 1 to 3 p.m. local time. Held in Room 201A of the Nashville Music City Center, the forum was moderated by David Hunter (Pond & Co.) and Dikran Betzig (PPG). Both Hunter and Betzig delivered presentations on examining CUI issues in the field and determining possible solutions. “The most Googled corrosion problem is corrosion under insulation. The fact that so many people attended today’s event is a testament to the widespread interest in this subject,” said Hunter. The forum offered real-world CUI investigation issues, along with practical solutions for solving them. In addition, the presenters discussed methods of investigation and used risk-based methods for dealing with large areas where visual inspection becomes cost prohibitive. Need a reason to attend CORROSION 2019? Here are a few to get you started. NACE International’s third annual NACECares’ Volunteer Day takes place tomorrow, Sunday March 24, from 8 a.m. to 5 p.m. Dozens of volunteers will be building and donating bikes to benefit the Boys and Girls Clubs of Middle Tennessee at the Nashville Music City Center.Sign up during conference registration for a slot to join this exciting event! NACE International, CoatingsPro Magazine, Master Painters Institute, and INSPECT This are hosting the first-ever Protective Coatings Workshop, a two-day interactive workshop at CORROSION 2019 featuring the latest coatings techniques and technologies.